The FB2202 is a pre-assembled unit of 25pcs 8"x5" checklists pages with a mil-spec vinyl front and back cover set. This set is bound together with office-grade economy metal rings. 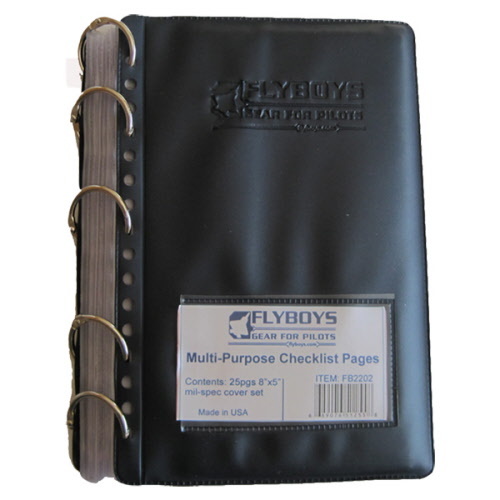 Ideal for protecting your local approaches or condensed aircraft checklist. Dimensions are 5"x8" and there are 16 holes on the left edge so aligning them with other checklists on your kneeboard is easily done.